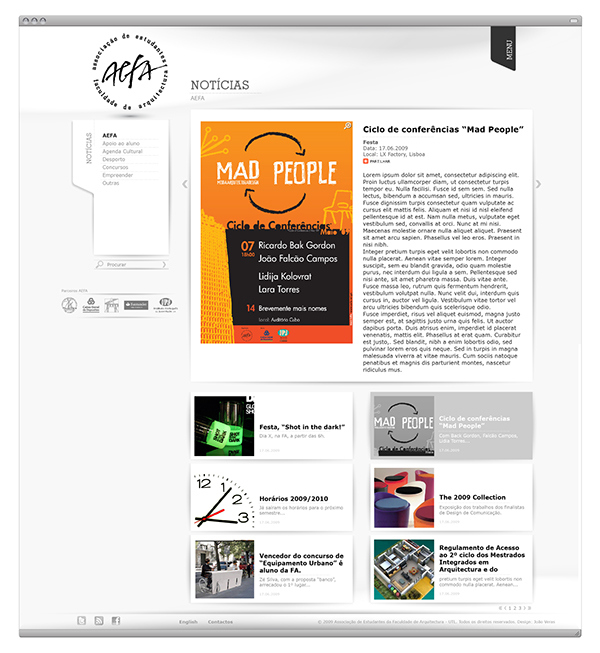 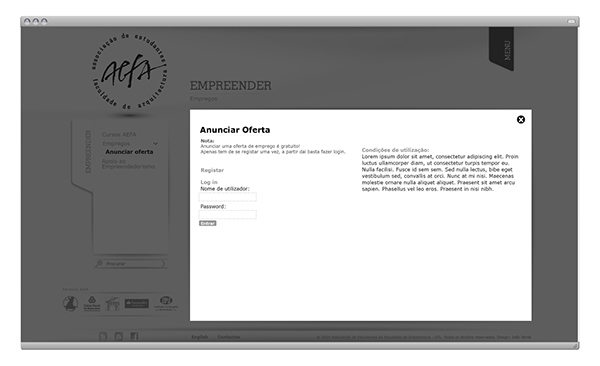 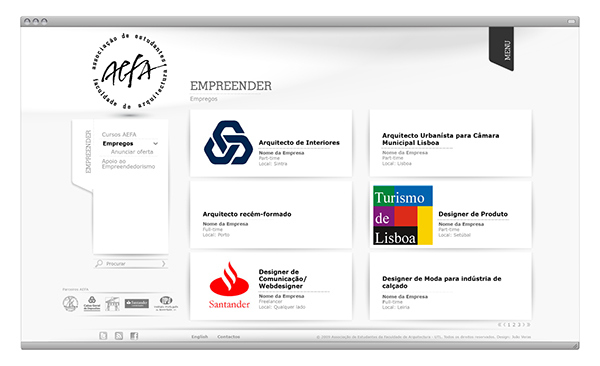 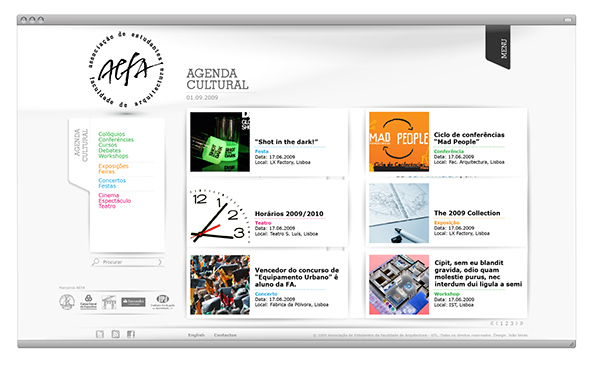 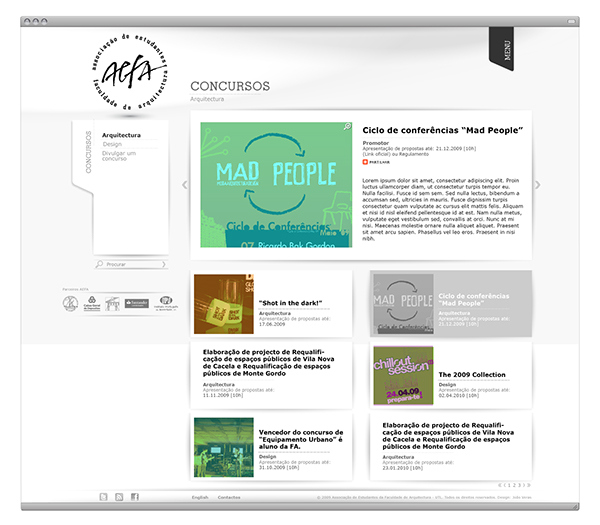 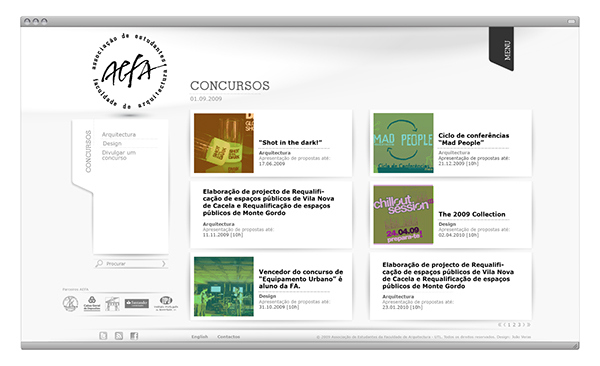 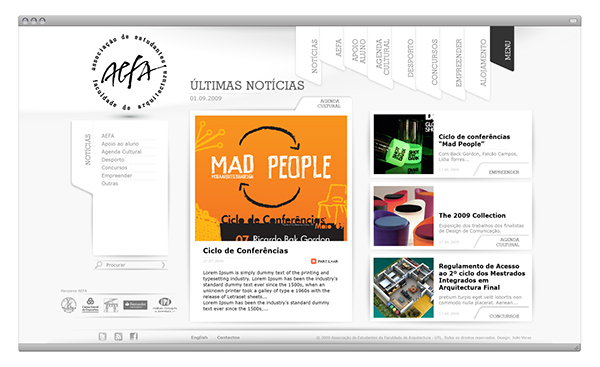 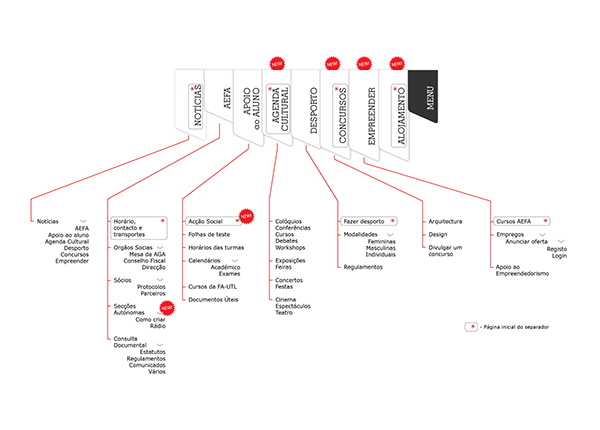 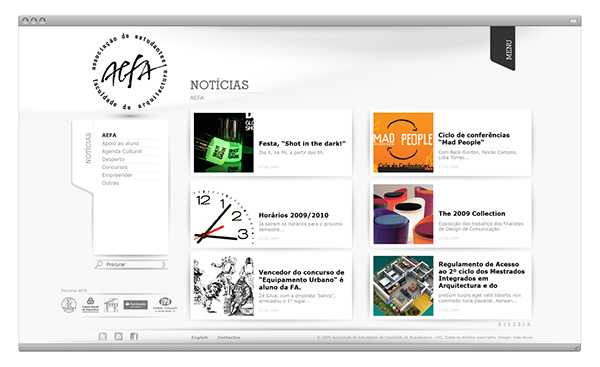 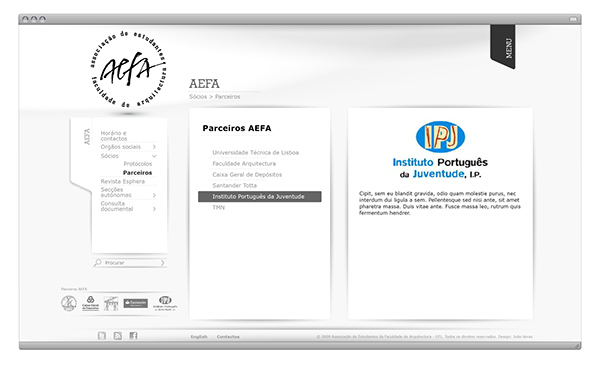 AEFA is an Students Association from a Architecture College in Lisbon. 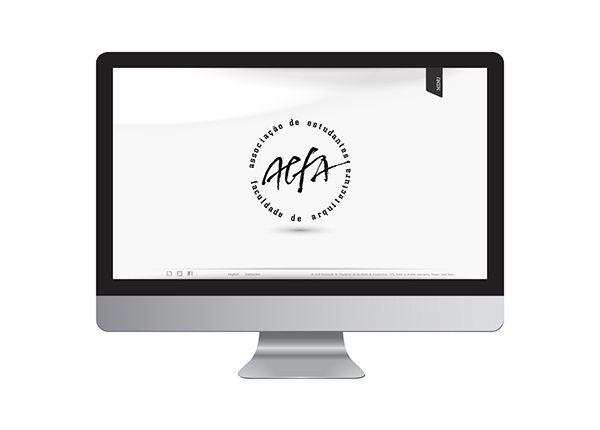 The aim of this project was to create a simple, neutral and modern website, helpful to students while bringing them closer to AEFA. 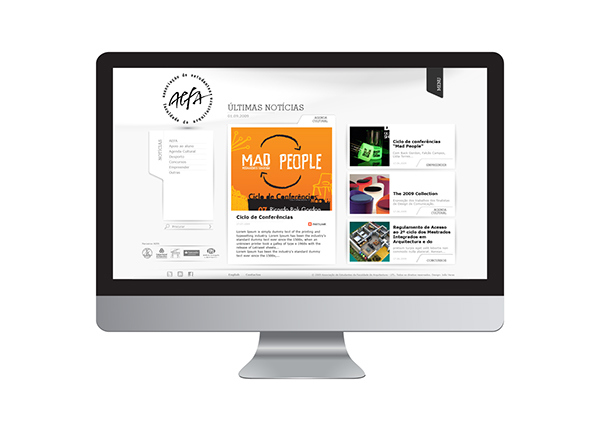 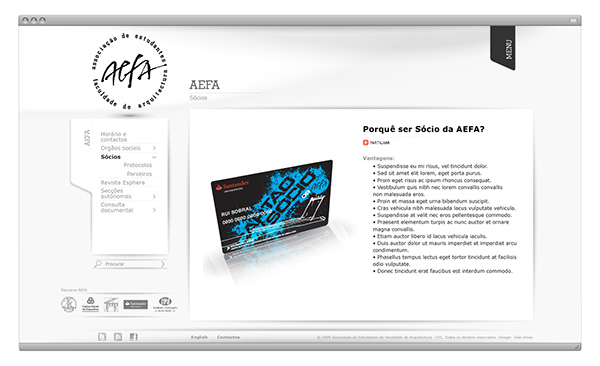 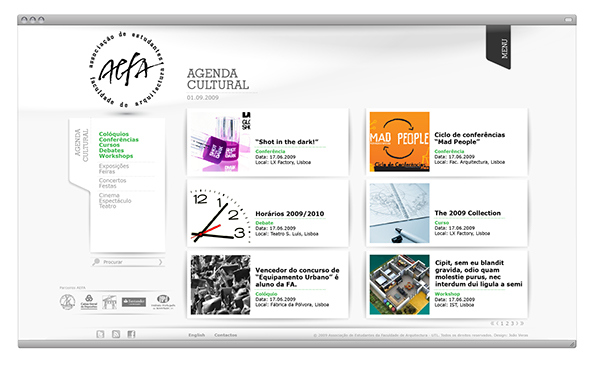 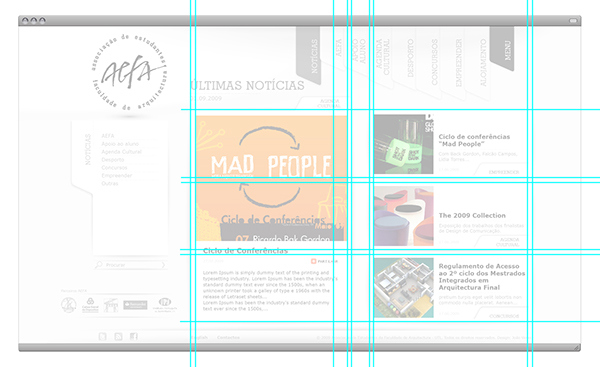 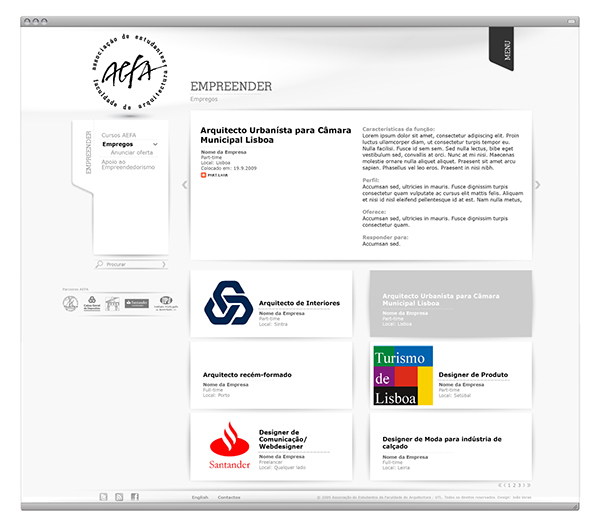 Website proposal for AEFA. 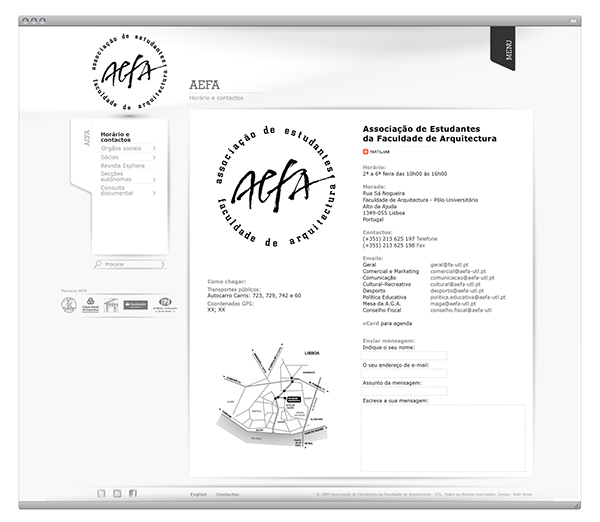 AEFA is an Students Association from a Architecture College in Lisbon.